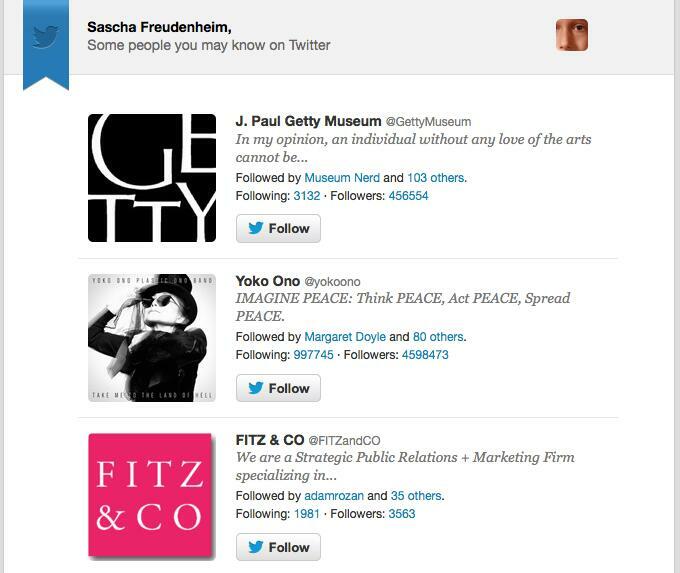 I am fascinated by algorithms. How can one not be fascinated by them? We live increasingly in a world driven by algorithms and defined by them, from the news stories that are “recommended” to us, to the movies/music/books we might like based on some mutual selections of others (whether those people are known to us or not), down to what washing machines or shoes could be right for us, again based on our own history of choices and those of others. We also cannot forget social connections: the people we should like (virtually) or know (theoretically) again based on the massive, algorithmic mapping of our utterances (Twitter) or existing networks of friends (Facebook). Even this description is an oversimplification; much has been written about Google’s propensity for “guessing” what we are looking for, based on just the first few letters of a search query. All of this matters, no question. We should be concerned, if not exactly afraid: along with the algorithms go massive amounts of data that power them, all of it data about us. I am concerned, and I do care, and consider myself to have taken a mid-level precautions. My browser’s “do not track” feature is enabled, and it is also set to reject third-party cookies. I’m running Disconnect.me and AdBlockPlus, along with Flashblock (great for controlling what Flash content loads on a page). And I have various other security tools installed, too. 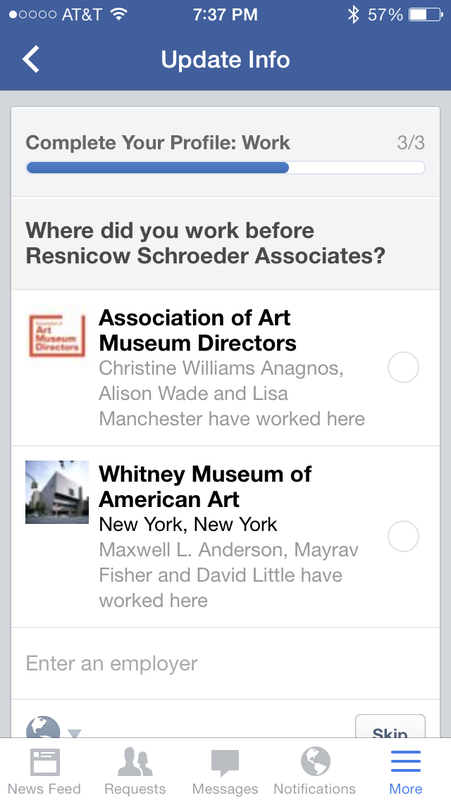 All of this tries to balance the desirability of some algorithmic knowing-ness with too much invasion of privacy. The fact is that all these algorithmic systems are deeply flawed. For all the data, for all the computer processing power, for all the back-end and front-end systems, they still make mistakes or create connections that can only look humorous to an actual human brain. Over the last year, I have been collecting some of these–let’s call them creative connections. A sampling of them is displayed below. And if you don’t find them as obviously funny as I do, well: that may also speak to the capacity for differences between human well beyond the mere bits and bytes of computerized logic. 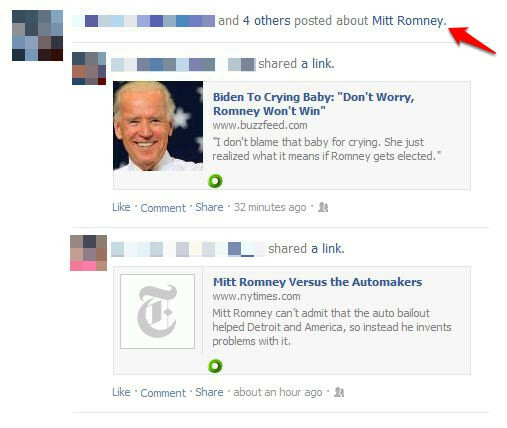 Sure, these are "about" Mitt Romney. Wonder what the Romney campaign thought. 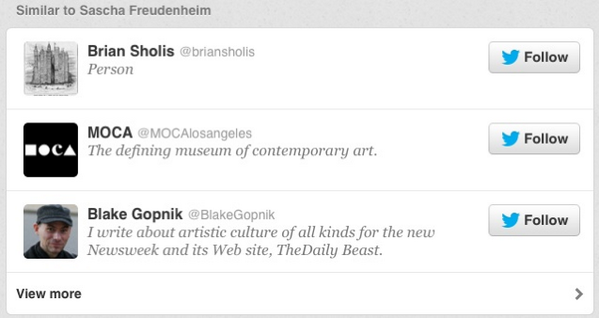 In what ways are these Tweeters similar to me, I wonder? 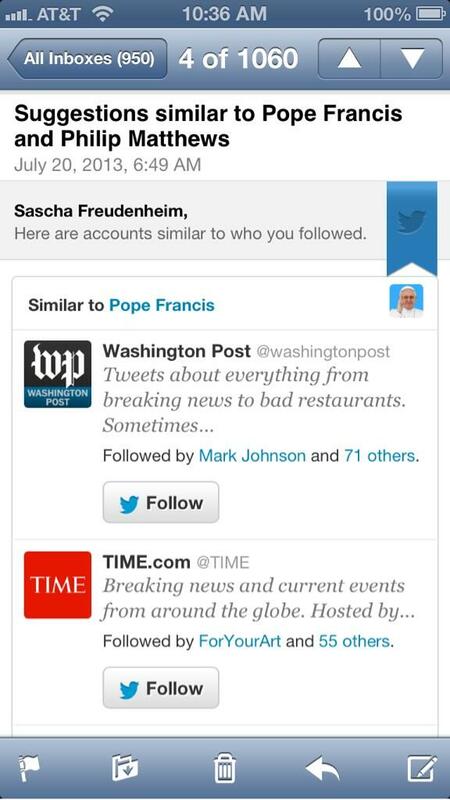 "Similar to Philip & the Pope"
Personally, I'm not seeing it. 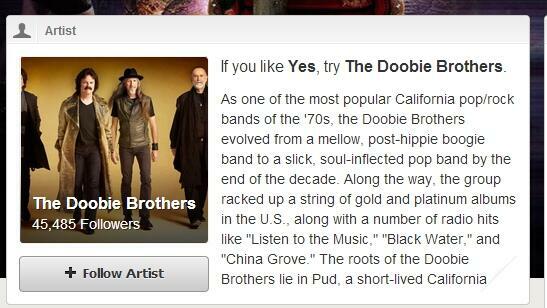 Yes & The Doobie Brothers? "I Do Not Like Mariah Carey"
Let the record state: I do not like Mariah Carey's music. Or any of these folks' music. "Art Things Not Like Another"
It's like an art-based Sesame Street bit, for grown-ups. 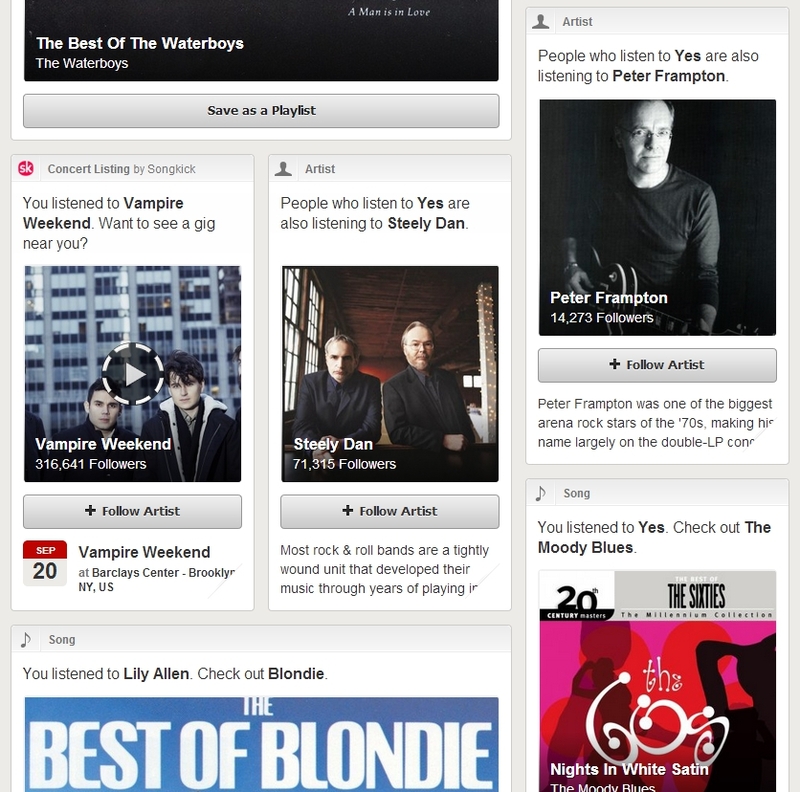 And can't get enough of those crazy recommendations! 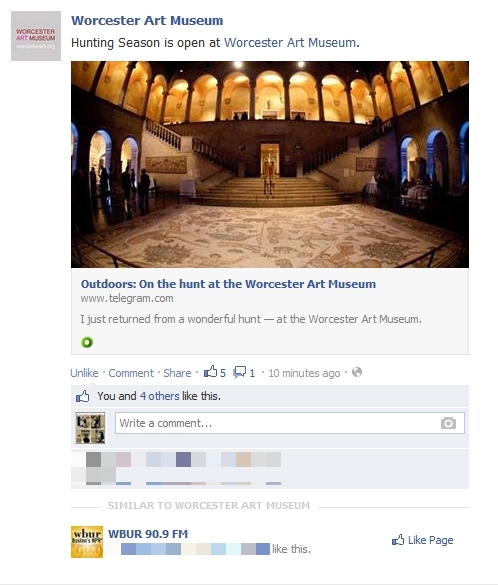 Sure, an art museum and a radio station are similar. Why not? 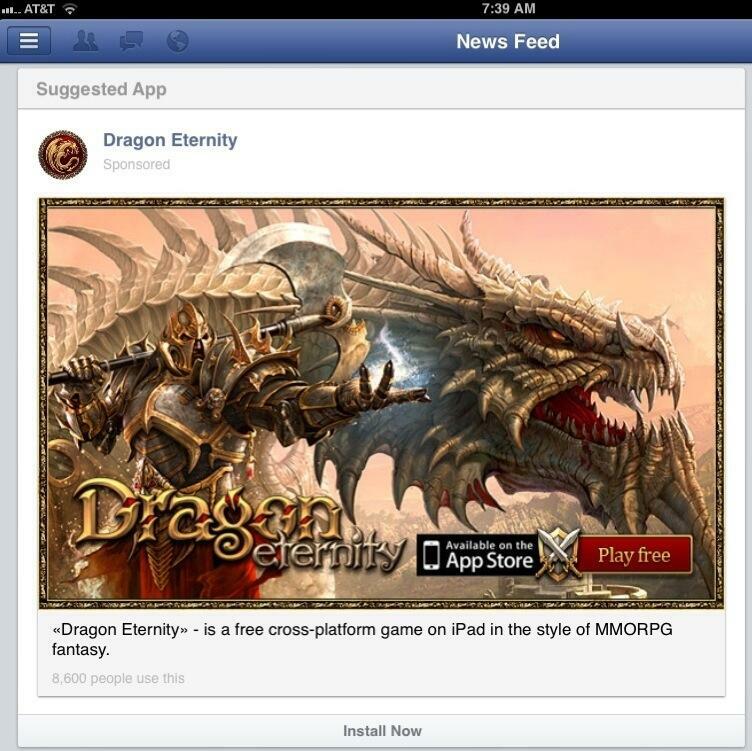 "Facebook: Where Did You Work Before..."
Um, no. Nope. Not at all. Wrong! 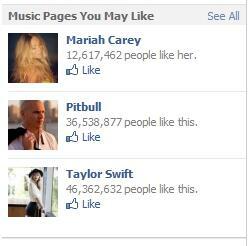 Saving the best for last: Facebook offered up Herman Cain as a musician I might like. We could make beautiful music together? On January 23rd, I received an email from Delta airlines about my flight from LaGuardia on the 26th. 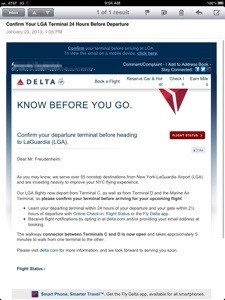 The subject line was “Confirm Your LGA Terminal 24 Hours Before Departure,” and the gist was: Delta now operates out of two terminals, so check before your flight and we will make sure you get to the right one. As a frequent traveler, I appreciate this sort of thing. Racing from one terminal to the next to catch a flight is exhausting, and I thought it was great that instead of forcing me to guess or sort it out when I got to the airport, Delta was telling me ahead of time. Unfortunately, the email was about as good as it got. Yesterday, I looked at it again, in preparation for today’s travel. The Delta website link helpfully took me to a page where I could access flight schedules–but not directly info about my flight and its terminal. The Delta mobile app–otherwise helpfully designed–showed me my boarding pass, but no terminal or gate info. The “Flight Status” function showed gate C29–presumably Terminal C–but since getting this info was otherwise difficult, it was hard to know if that was accurate. The app included a link for easy Tweeting to Delta (@DeltaAssist) so I did. The response did not confirm the terminal–the whole point!–and instead said “@DeltaAssist: My apologies for the inconvenience. Some flights are not assigned a gate until the day of departure. Thank you. *CS”. So here’s a tip, Delta: good on you for trying. But either take the user directly to a page with the relevant info–clearly marked and displayed–or just send a letter saying “Heads-up, we run out of two terminals, so leave yourself extra time because we may not assign a gate until shortly before your flight.” I would rather spend 10 more minutes in the airport to make sure I have the time I need than 20 minutes trying to sort through multiple computer systems for buried or unavailable information. Speaking of systems and airlines, TripIt is a great system–web, iPad, iPhone, etc.–for those who travel a lot. Itineraries are automatically uploaded just by emailing them, and the “Pro” version tracks flight delays, can provide directions, and links to relevant travel providers easily. So it is a real shame that Delta, United/Continental, American, and other major US airlines refuse to let TripIt users have access to their mileage point systems via the app. Given the level of hostility towards airlines, because of their often poor service and even-poorer communications skills, it seems like a ridiculous step to prevent flyers from using this tool to track their points in one place. Especially when more than 100+ other airlines and systems are part of the system. What gives? Probably that they don’t care, much the way airports don’t, as astutely noted in this recent post by Seth Godin. 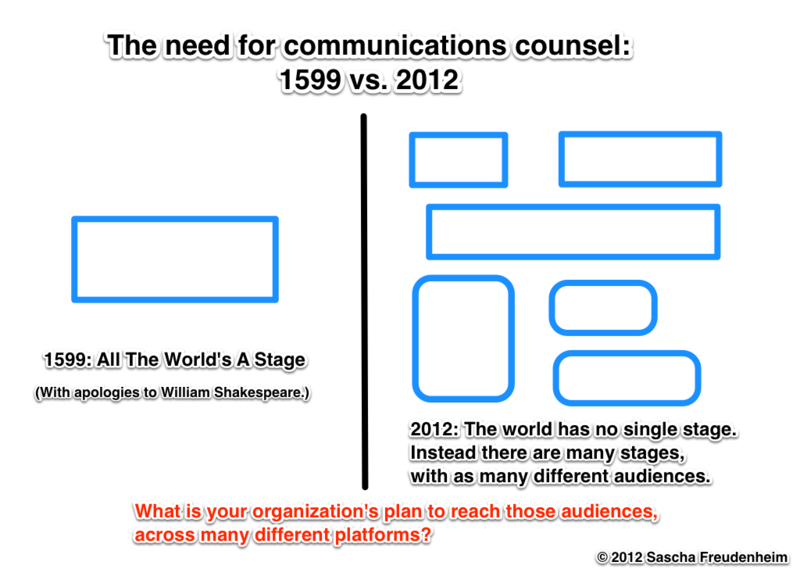 One of the more interesting (and consistent) challenges I deal with at work is explaining to potential clients (and sometimes current ones) the fragmentation in the media world. On one level, this is understood; it is precisely because people understand there is a challenge that they seek out a company like ours. At the same time, it can be difficult to grasp. The major opinion-leaders and “influencers” remain, but their overall impact might be diminished. Or they may exert influence, but in ways that require support. Where there was once an audience–perhaps 85% of that audience were your subscriber base, and another 15% were the random people inspired by specific programs–there are now many different audiences, consuming many different sources of information in just as many different forms. Here is one more very blunt way to think about it.